as you pursue a development project at a variety of levels, ranging from occasional advice to full partnership and everything in between. If you are considering a development in our service area, give us a call. The earlier you are in the process, the better. Redesign has a wide breadth of experience in real estate development including redevelopment of brownfield sites into multifamily housing as well as major rehabilitation of commercial and industrial buildings. We have provided development services to outside clients as well as growing our own portfolio of properties in the neighborhood, both independently and in partnership with others. Our goal is to help property owners make smart, long term investments so that the built environment in Greater Longfellow remains financially, environmentally and aesthetically in great shape for years to come. Whether you simply want to put solar PV on your roof or you are considering a major acquisition and renovation, if it’s in our service area, we’d love to talk. Contact Renee at renee@redesigninc.org or 612-435-0279. 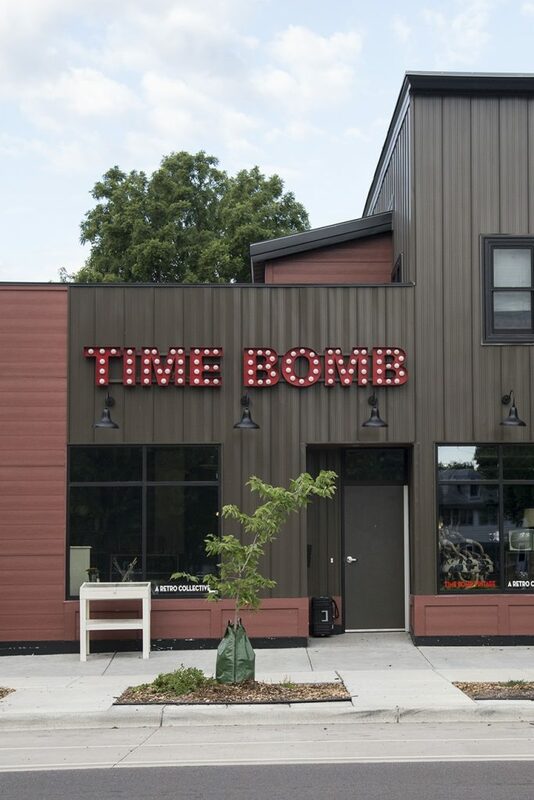 RNW Properties & Time Bomb Vintage - Redesign assisted RNW Properties with the redevelopment of the old Falls Hardware building on Minnehaha Avenue, and with the subsequent leasing of the space to Time Bomb Vintage. Click the link above to see the whole story. Seward Co-op Grocery & Creamery Café - Redesign assisted the Co-op with its 2007-08 acquisition and redevelopment of a former grocery store site, and with its 2015 renovation of the former Franklin Creamery building. Click the link above to see the whole story.